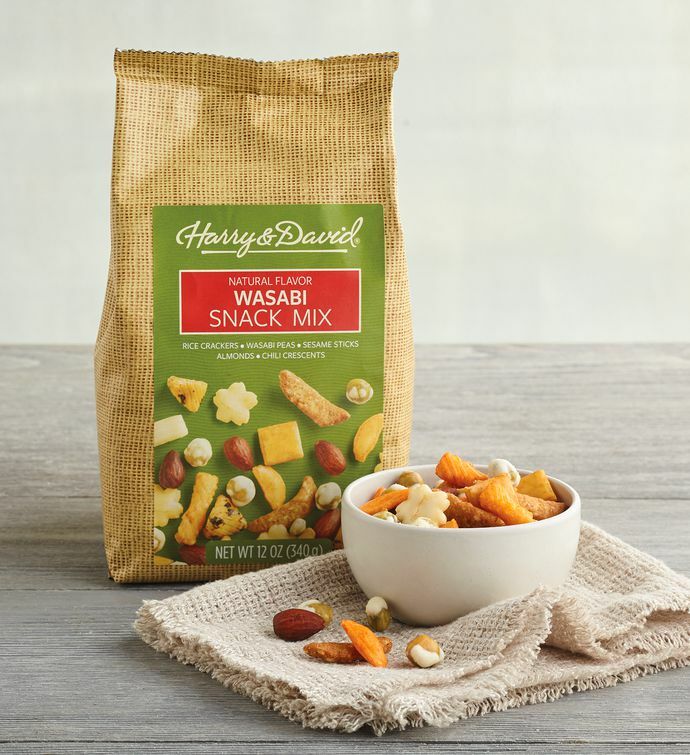 A zesty snack with just the right amount of heat, this Wasabi mix is always a delightful surprise. Mix includes rice crackers, wasabi peas, sesame sticks, almonds, and chili crescents. Perfect for parties, or as a spicy addition to your standard trail mix.